In April 2016, Resty and Mel, above, shared the vision of building six new classrooms at Promise Land Christian School; and as a result, many prayed and gave generous financial gifts. These pictures say it all! The building project is complete!!! Praise God for His faithfulness; we rejoice with them and the faculty and staff at a job well done!! The children are using the classrooms and benefiting from the fulfillment of this vision each and every day. Thank you for your partnership in reaching a very needy area for Christ. This month, they share (in their bi-monthly newsletter, Bamboo Journey), the kick off of another very special fundraiser for a new Cupang Church building in the dumpsite area. 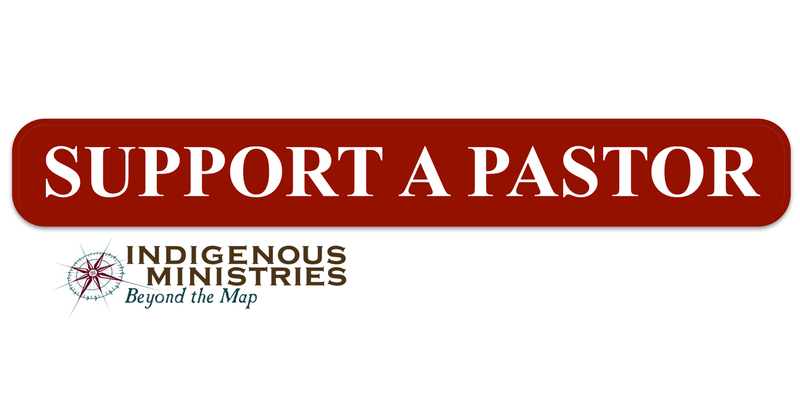 (read the full version at: https://indigenousministries.org/about-us/our-team/ where you’ll see Resty and Mel’s newsletter link). 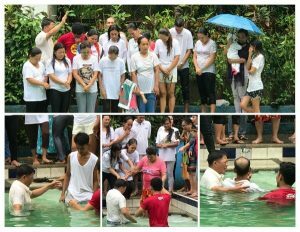 “June 2017, we were introduced to this outreach house church through the ministry of Conservative Baptist Association of the Philippines (CBAP). A livelihood Micro Finance Assistance Program was started and became instrumental in reaching more people in the saving knowledge of our Lord, Jesus Christ. There were around 20 other individuals who attend Bible studies or Sunday worship, but have not yet committed themselves to baptism.” As this body of Christ is growing, they are asking the Lord for a permanent meeting place. They have outgrown the home and garage they have been meeting in and plans are underway to build a permanent church. We will share more about this exciting building capital campaign soon, meanwhile, please pray for this precious body of Christ. Pray for Resty and Mel as they continue their vital role in this ministry. The date was set, July 17, 2018 and the newly formed Cupang Community Church was slated to have its first ever baptism and child dedication service. That morning, with the monsoon rains pouring heavily in that area, everyone started asking Pastor Arnel and his wife Nene if the event would go through as planned. Both confirmed, “Yes, with God’s grace, everyone will be here.” Hours later, everyone was drenched yet several families had been baptized, children dedicated. A couple with a lady friend, were seated with Pastor Arnel, learning about baptism. During the counseling, the couple shared they had been living together for 21 years and had not been officially married. Could they get married? The more they listened to Pastor Arnel, all three gave their lives to Christ, got baptized and the couple will be married this September. Pastor Arnel started an adult Sunday school with 40 in regular attendance. They’re hungry to hear the Word of God and grow in Christ! 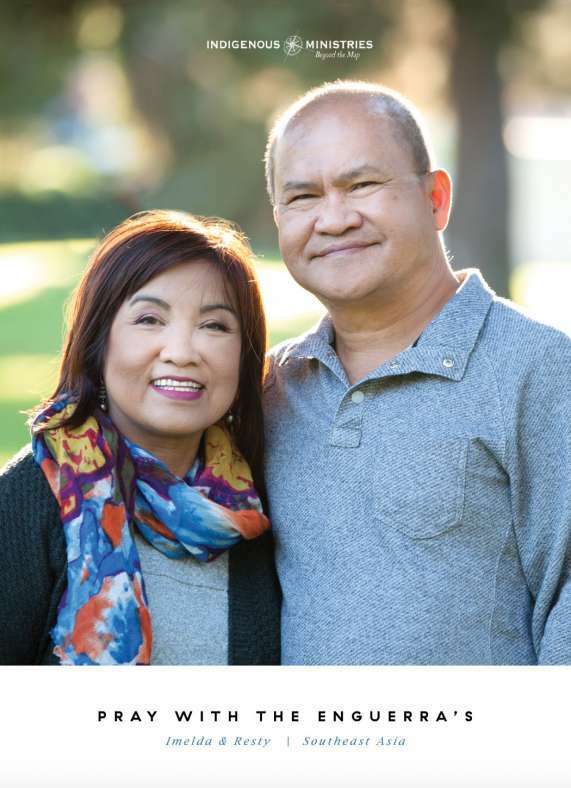 Read more about this precious time in Resty and Mel Enguerra’s July-August 2018 Bamboo Journey on our website, IndigenousMinistries.org: go to About Us/Our Team/Resty and Mel Enguerra. 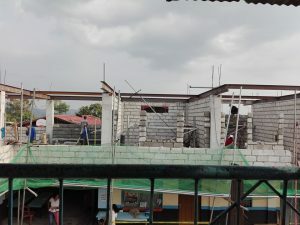 Donate online to the work in the Payatas Dumpsite helping scavenger families hear the Gospel and receive job training. 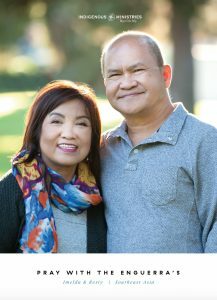 Update from Resty and Mel Enguerra, the Philippines: Violy and Nene, our church based community transformation partners in Cupang, Antipolo, walked into a roomful of people of about 50! Word got around that this day they would be interviewing participants in the Micro Finance Assistance Program. These are the hillside informal dwellers of Cupang. 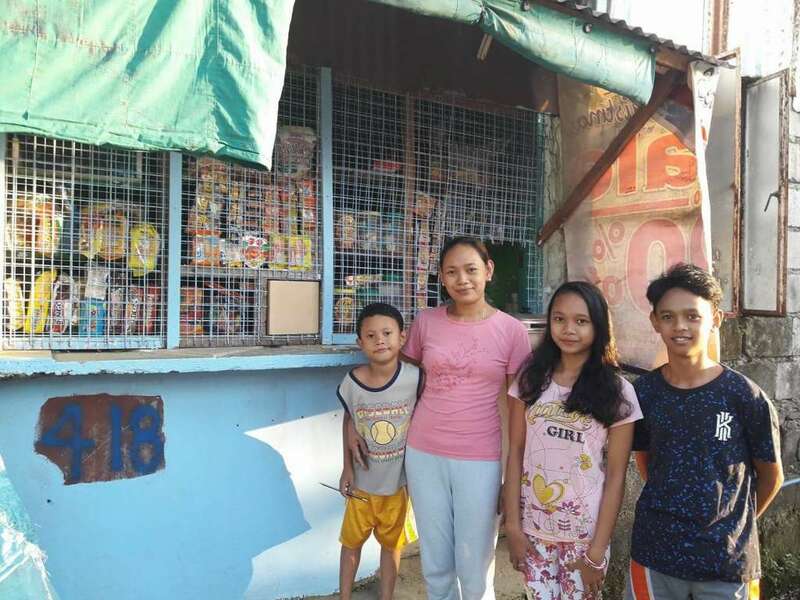 The Micro Finance Assistant was a big boost in helping Melissa Beltran (pictured on the right with her family) increase items to sell in her convenience store. It was timely — the husband lost his supplementary job. She now sells frozen foods using the proceeds for school expenses of her children. The weekly group meetings enabled her to meet Christ. The Bible studies and Sunday worships taught her to read/learn from the Bible. She gives thanks to the Lord for all His blessings. Their lives are changed knowing that Christ inhabits them. Meet Edgardo, pictured on the left with the shoes he crafts, another recipient of the Micro Finance Assistance Program. 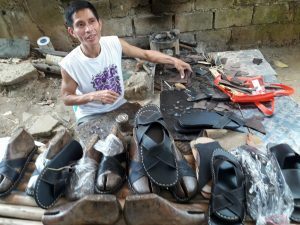 He used the assistance as capital to make shoes! He was a security guard but had resigned from it in order to focus his time in shoemaking. His income is better now to support his family. He’s very consistent in attending the weekly group meeting. We can help pray for Edgardo to make Bible Study, worship and coming to church regularly as priorities in his life. 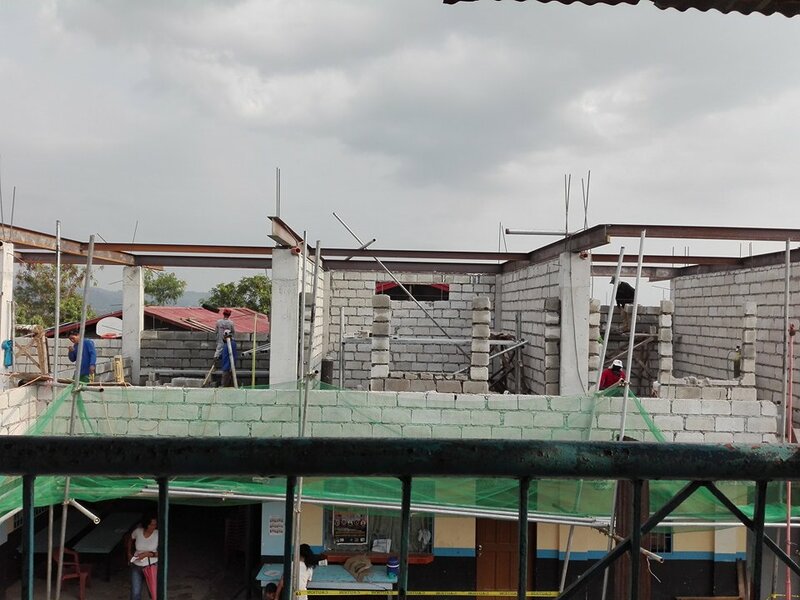 PAYATAS SCHOOL BUILDING UPDATE – School is out and the construction of the 6 classrooms, pictured above, is ahead of schedule; we’re thanking the Lord for funding through the Ministry of Foreign Affairs Luxembourg and Philippines Luxembourg Society (PLS)! 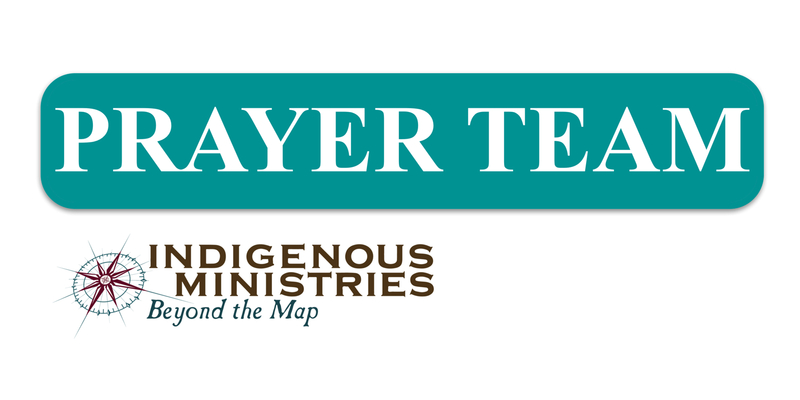 PRAY – Resty and Mel provide great updates and prayer points to help you as you pray. Pray for Resty and Mel, for their health, strength and for wisdom in ministry. DONATE – Your gifts will help more engage with the Micro Finance Assistance Program that has a proven track record (see above) and works! These families hear the Gospel and their lives change dramatically for the better. 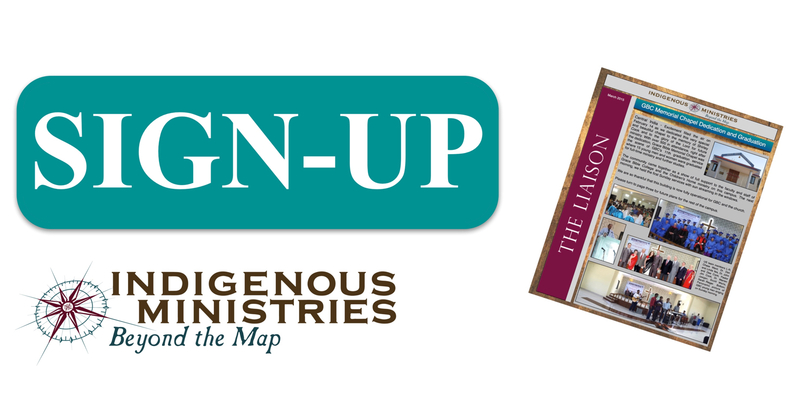 Go online at www.IndigenousMinistries.org and choose “Southeast Asia”.